Teachers with generative theories about teaching view themselves as capable and agential. They routinely engage in self-introspection as a means to dismantle problematic beliefs and biases. Generative teacher education is best developed in classrooms through embedded work with children. To explore generative teacher education, this chapter describes how one program sets the stage for the development of cultural competence through an initial course focused on culturally sustaining pedagogy. The authors then describe the significance of helping literacy teachers to notice and name children's emerging literacy abilities. The chapter ends with scenarios that illustrate the synergy that occurs when cultural competence is combined with embedded field experiences in literacy classrooms. The authors discuss both pedagogical possibilities and the importance of developing noticing practices and agential responses that are culturally and linguistically responsive. Clearly, the idea that teachers learn to teach by teaching is not new. While we recognize that there are other ways for novice teachers to learn about teaching, our work with preservice teachers has convinced us of the power of mentored teaching experiences in the process of becoming culturally competent literacy teachers. Teaching is complex work. In order to learn about teaching in all its facets and nuances, we believe that preservice teachers’ experiences must be connected to children. Across two decades, literacy faculty at the University of South Carolina have worked to create embedded field experiences that entail carefully designed classroom experiences and close attention to children and pedagogical problem solving. These experiences promote and require agency and resourcefulness as novice teachers learn to negotiate challenges that accompany helping children learn to read and write. As we involve preservice teachers with children, we support them in crafting identities that treat teaching as fidelity to children rather than programs and position children and teachers as cultural and agential beings with unique passions, abilities, cultures, and lives. To accomplish this, we must recognize how people – including children – are embedded in culture. As McNaughton (2002) argues, teaching literacy requires more than knowledge about reading and writing. Powerful teaching requires knowledge about how race, class, cultural differences, and privilege continuously translate into disparate opportunities for learning. Becoming a teacher entails content knowledge, social skills, patience, awareness of the diverse ways of being that students bring to classrooms, and a commitment to honoring and serving all children and their families. Literacy learning is deeply connected to cultural and linguistic diversity. Differences in the cultures and languages that children and teachers bring to classrooms affect the texts they are exposed to and the literacy experiences they bring. Some children and teachers are exposed to print written in more than one language. Many children who bring linguistic differences to classrooms also bring experiences with transnational literacy practices, including exposure to folktales from their native countries, cartoons, and films in other languages, and using native languages to communicate with friends and relatives. Culture informs how stories are told and interpreted. Children who bring different language varieties to classrooms may sometimes apply home language features when they read affecting the miscues they make and the spelling variations that they produce. Because both literacy learning and culture entail language, both are affected by the linguistic and cultural experiences that teachers and children bring to classrooms. 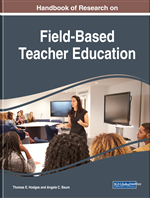 In this chapter, we focus on how embedded field experiences not only address how to run classrooms, design lessons, and assess students, but also support preservice teachers as they move towards cultural competence. We refer to this as a generative model of literacy teacher education. The word generative, has been used by various scholars to describe educational experiences that generate new ways of thinking and knowing. Siegel (1995) defines generative processes as resulting in the production of new meanings. Freire (1986) argued for attention to the generative themes that students brought to learning. He maintained that a problem-posing and liberating education requires consideration of students’ lived realities and the generative themes that defined their worlds. As he noted, “the generative theme cannot be found in men, divorced from reality; nor yet in reality, divorced from men. . . it can only be apprehended in the men-world relationship” (p. 97). Thus, educational practices that involve new understandings about children require critical consciousness and must connect to students and their relationship to literacy, learning, and schooling.